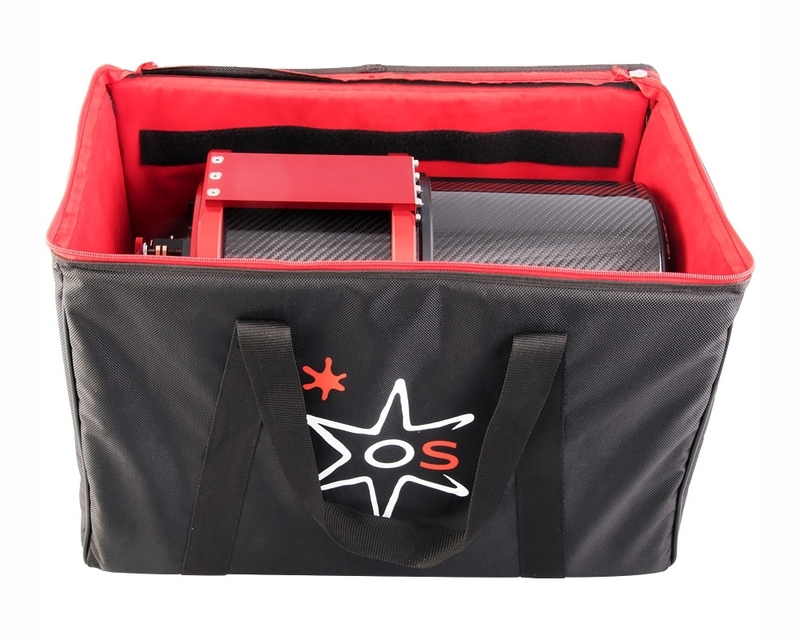 Officina Stellare developed this new soft padded bag to transport your Veloce RH200 telescope in the safest conditions. It’s built with the highest quality materials, to fully protect your precious astrograph from vibrations, humidity and crashes. You can fix the telescope with belts and use a separator to carry other accessories. It’s also suitable for other telescopes, as the iconic Celestron C8 and similar telescopes size. Hand made in Italy.